What do I bring on admission? On the day of admission, you will be seen by one of the Hospice doctors and you will meet the nursing team who will take care of you and your family during your stay. Please bring any medication or dressings you are currently using and any letters or documentation concerning current treatments or appointments. Limited laundry facilities are available, please ask for details. How is the medical care organised? The medical team consists of five local G.P.s with a particular interest and experience in palliative care. One of these doctors visits each day to monitor your progress and to address any problems or concerns you may have. All personal details and treatments are confidential. Nursing care is provided by a team of specialist nurses who are assisted by experienced healthcare workers. The In Patient Unit is nurse led so you can feel free to ask them about anything you are concerned about or do not understand. We advise you to bring comfortable night and day clothes and comfortable fitting footwear. Laundry facilities are available but it can help if your family choose to do this at home. Labelling of clothing prior to admission would be helpful. It is not necessary to bring your own towels but please bring any toiletries you may require. Unfortunately we cannot be responsible for money, jewellery, or any other valuables, so we advise you to leave these at home unless it is jewellery which you wear all the time. There is a safe available for short-term use. What are the visiting times and access arrangements? To aid patient safety and comfort, the ward is closed between the hours of 10am to 11am and 2pm to 3pm. Visitors should not visit between these times, unless requested to do so by a member of staff. Immediate family members are welcome to visit at other times. Where possible It would be helpful if extended family and friends visit between 3pm and 8pm, with no more than four visitors per room. Please consult the Nursing Staff before bringing children under the age of five into the Hospice. Further information can be found in our Guide to Visiting, which is available in the bedrooms or at reception. From Monday to Friday 9.00am to 5.00pm the front automatic doors will be open. Please speak to the receptionist before entering the unit. At all other times please press the intercom only once on the pillar outside the building and await a response from the nursing staff. Please be patient, as staff may be busy. Once inside the building we ask that visitors let a member of staff know whom they wish to see. It is vital that visitors record their arrival and departure times in the signing in book, this information is recorded purely for safety reasons and will not be shared with or passed to any other organisation. The book is located on the Reception desk. It would be helpful if each family nominate one person to liaise with the Hospice for telephone enquires, helping to reduce the number of phone calls to the unit. On occasions nursing staff will be busy and your patience would be appreciated. The busiest times are in the morning. In the interests of hygiene, would visitors and patients please use the hand gel dispensers situated throughout the building. Visitors are requested to always use the dispenser at reception when entering IPU and DPU and again when leaving. Room cleaning schedules are available for inspection in all bedrooms. If you have any comments/queries regarding the cleaning of your room please contact the nursing team. How do visitors get to the Hospice? The Hospice is on a bus route with a bus stop directly in front of the hospital. Retford train station provides a regular service to Newark, Sheffield, Worksop and Doncaster. There are also a good variety of taxi services. The Hospice provides a voluntary car service for the use of patients which can, at times, provide transport for visiting. If travelling by car please note the Retford Hospital site operates a one way system. Car parking for visitors is available to the front of the Hospice building. What local amenities and accommodation is there for relatives to use? Boots is on site and open 8am – midnight Monday to Friday, 8am – 10pm Saturday and 10am – 4pm Sunday and sells a small selection of food and drinks. The nearest shop is situated at the BP garage on North Road (turn left when leaving the site). A wider selection of products are available from ASDA, open 8.00am to 10.00pm weekdays and Morrisons open 8.00am to 8.00pm Monday to Thursday and to 9.00pm Friday and Saturdays, Sundays both are open 10.00am to 4.00pm. We also have a list of local accommodation. If a relative wishes to stay overnight at the Hospice this can be arranged. Whilst families are welcome at all times, please be aware that space is limited and large numbers may present practical problems. The needs of the other patients must also be considered. The Hospice always tries to meet individual needs and requirements. Tea and coffee making facilities are available for visitors. Light meals may be available for close family members who stay overnight. Donations for visitor meals and drinks are always gratefully appreciated. All bedrooms have telephones that accept incoming calls. Mobile phones may be used inside the building although reception can be limited. Please consider other patients and visitors when using mobile phones and where possible change to a silent setting. Can I bring my own electrical items with me? In order to maintain safety, we ask you not to bring domestic electrical items into the unit. However if you should need to bring items the Hospice our electrician must check them before they are used on Hospice premises. Discharge plans will always be discussed with you and your carers well in advance or when a discharge date has been agreed. The Hospice will automatically liaise with other health and social care professionals involved in your care to ensure that you continue to receive appropriate support when you return home. Upon discharge from IPU your GP will receive a letter detailing any changes that have occurred in treatment during your stay and any future recommendations for your care. If you would like a copy of these letters this can be obtained upon request. Supportive Care: Aims to assist patients and their carers cope with life limiting illness. Focuses on all aspects of care. The Hospice welcomes any suggestions or comments that patients or carers may have. If you have any specific comments or concerns regarding your care, please speak to the senior nurse. If individuals wish to remain anonymous, a suggestion box is situated in the entrance foyer for this purpose. Regular service user surveys are carried out. The Patient Opinion website is available for comments to be recorded. Do you have a Chaperone Policy? Please note the Hospice complies with all aspects of the Bassetlaw Health Partnership Chaperone Policy. If you have any concerns the nursing staff would be pleased to answer questions. What about confidentiality, privacy and dignity? The Hospice complies with all aspects of the Data Protection Act. 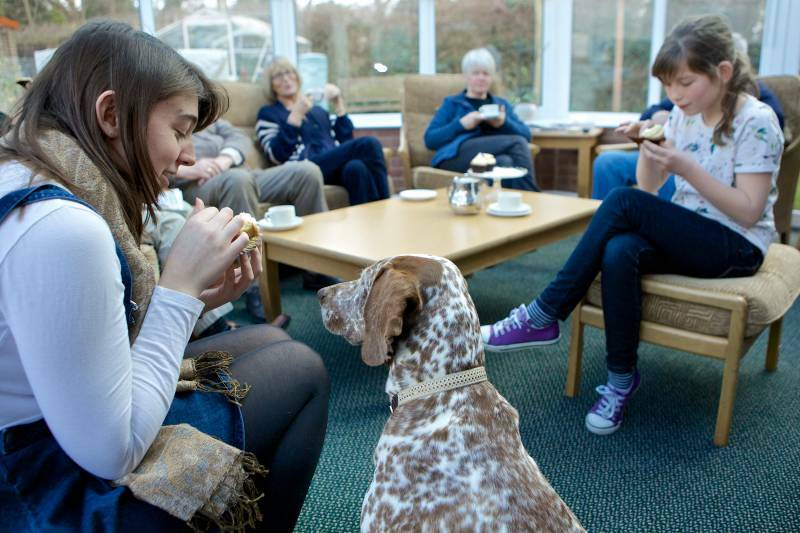 At all times the Hospice will ensure that your privacy and dignity is respected during your stay. All complaints will be dealt with according to the NHS Complaints Procedure. A copy of the policy is available on request. If you have a complaint regarding any aspect of the Hospice service, please discuss this with a member of the nursing staff. If your complaint cannot be resolved, the matter will be referred to the Hospice Senior Nurse (Palliative Care). If you cannot find the answers to your questions here, please contact us by email or telephone.